Tannins are polyphenolic compounds extensively present in plants and used by food industry as processing aids. Due to the heterogeneity of plant sources, actions involved in food processing and tannin commercial costs can be different. In the last years different approaches aimed at correctly identifying the tannin botanical origin have been developed, in order to satisfy the industry’s request to verify product labels. This work aimed to define the glycosidic simple phenolic profile of a large selection of monovarietal commercial tannins of different origin, using a high-resolution untargeted approach. Using accurate mass, isotopic pattern and MS/MS fragmentation, 167 precursors, 89 as monoglycosylated and 78 as diglycosylated derivatives were tentatively identified in tannins, validating the untargeted approach with 3 custom-synthesized glycosidic precursors. 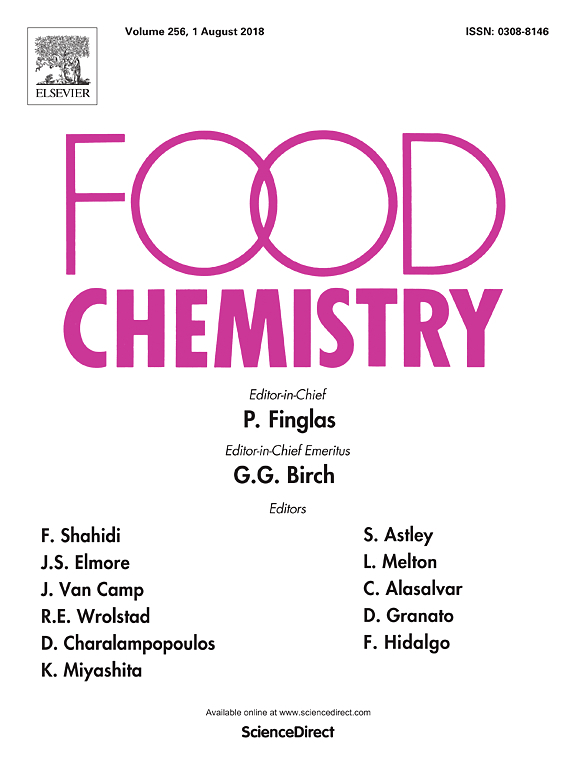 Almost all tannin botanical varieties were shown to be characterised by a specific glycosylated phenolic profile, providing possible tools for tannin classification in the case of glycosylphenol standard availability. Barnaba, C., “Glycosylated simple phenolic profiling of food tannins using high resolution mass spectrometry (Q-Orbitrap,” RIQUIM - Repositorio Institucional de la Facultad de Química - UdelaR, accessed April 20, 2019, http://riquim.fq.edu.uy/items/show/4914.